Jobsite security is a huge factor in staying on time and within budget on any job. Our remodel project is well underway, so we decided to reach out to D-Link to test out their line of cameras. On In the House we love answering your home improvement questions, and from time to time we take on projects of our own to pass on valuable information and experiences of how to do, what to do and what to avoid. Join us on the journey through this exciting home renovation! Unwelcome holiday hazards can intrude on family celebrations. 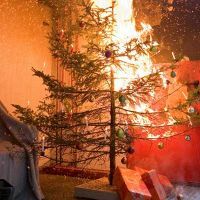 Here are some holiday tips on how to keep warm but be safe while preparing for the winter holiday season. Josh Smith is an innovative home product enthusiast and has produced our In The House radio show for over 11 years. Josh regularly attends industry trade shows, always keeping up with the latest in building, trends, tools and technology. 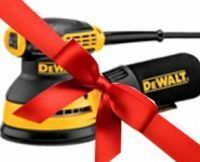 Here Josh gives some great advice and a huge selection in all categories and price ranges for gift-buying this holiday season! In the House presents expert design advice from Universal Roof & Contracting. You’re about to remodel your kitchen—and perhaps you even have a kitchen floor plan figured out. Let the design experts point you in the right direction! Bargain Backsplash or Bad Idea? Jared gives sound advice about adhesive “stick-on” back splash on In The House when Renee from Central Florida considers using it in her high-end kitchen. Read more … Bargain Backsplash or Bad Idea? Josh Smith is an innovative home product enthusiast and has produced our In The House radio show for over 11 years. Josh regularly attends industry trade shows, always keeping up with the latest in building, trends, tools and technology. 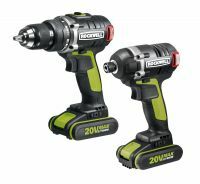 Here is his review on the Rockwell Tools Brushless Drill/Driver & Impact Driver combo. 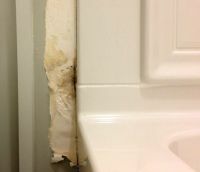 This time on the show, In The House, a listener calls in and is having some trouble with moisture ruining his drywall in several places around his cement block home. This time on In The House, Jared answers Susan’s email question about finding a good roofing contractor. This week on In The House, Ron from Callahan, FL has a question about the benefits of using HardieBoard siding instead of standard plywood for his small home addition. Read more … HardieBoard—By Far The Best! Ken and Jared help troubleshoot In The House listener, Nile’s electrical problem. Nile explains, "I just got this house and in all three bedrooms I have to turn the ceiling fans and lights on or off with the pull chains because the wall switches don’t work." In this segment of In The House, Ken & Jared help a listener with their decision about painting or replacing their wood door trim. "...do you have any advice for us?" Jared's reply: "Of course we do!" Recently on In the House with Ken & Jared we had the opportunity to interview Chris Williams, the Manager of Quality Control for Denver Global Products, and the makers of the Raven 7100 Multi-Purpose Hybrid. Josh Smith, ITH Show Producer, reviews this amazing ATV outdoor generator workhorse. ITH Show Producer and Home Improvement enthusiast, Josh Smith, reviews Terminix Mosquito Bait & Kill products. Shingle Roof or Metal Roof? It Depends. There are a few decisions to make when considering a new roof. A big one is deciding what materials to go with for your roof: metal or asphalt shingles. Both are viable options, but there's always a situation where one is preferable. A knowledgeable Florida roofing contractor should always be able to give you a clearer idea of what your home needs, but to give you a head start on the subject, here are some general pros to each type of roof. Read more … Shingle Roof or Metal Roof? It Depends.